Bhopal: Governor Anandiben Patel has said that technical education should be useful for the society. Directions of innovation and research should create balance between humans and the nature along with social welfare. Knowledge and skills will be meaningful for the society and the nation when they have human values and virtues. 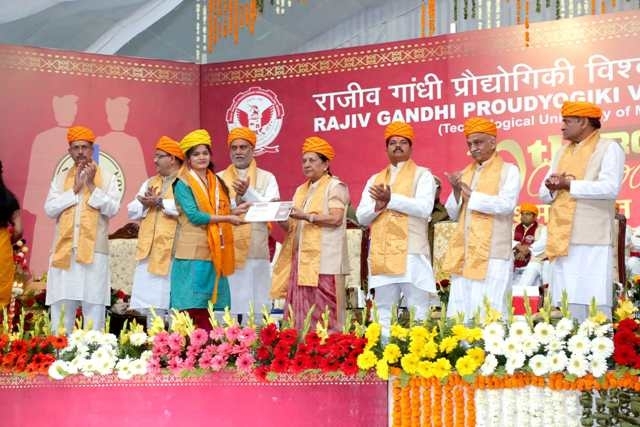 The Governor was addressing the 10th convocation of Rajiv Gandhi Praudyogiki Vishwavidyalaya today. The Governor awarded students with degrees and medals. Prof. A.S. Kiran Kumar was the Chief Guest of the programme. The Governor stressed on a need to take initiative in giving benefit to university students from huge knowledge and experience of Prof. Kiran Kumar. She said that action should be taken by forming a cell in this regard. Technical education and skill development minister Bala Bachchan expressed need for new efforts for placement of students. The university should link itself with big companies. He invited suggestions in this direction. Bachchan assured full cooperation from the government in fulfilling needs of students. 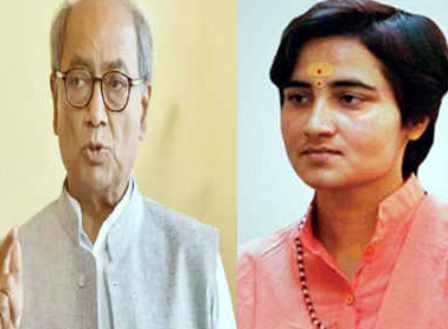 He recalled former prime minister late Rajiv Gandhi and said that the university was set up according to his vision. It expands the opportunities and reach of technical education. Low cost and easy technical education is being provided conveniently.